Hey guys! 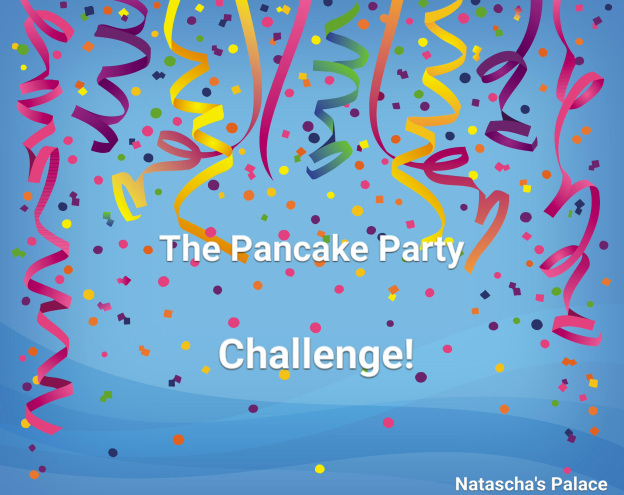 I’m hosting a pancake challenge with Natascha over at her blog! There is time till the 8th to submit your creative or traditional pancake recipe! Please do come and join in the fun with usss!!!!! Here’s the link that will take you to her post. If you want to try some unique pancakes to increase your chance of winning, here’s a list you can choose from as posted by Natascha! Previous Post Peanut butter chicken rolls! Next Post The Recipe Exchange Event! My girlfriend made us pancakes since her husband doesn’t like sweet breakfasts. She made German Chocolate pancakes, served with a syrup with brown sugar glaze, powdered sugar, pecans and coconut. It was scrumptious!